I'm not a social butterfly and so social media didn't really appeal much to me. I got into Facebook in year 2007 but I was not active. I have even considered deleting my account recently but decided against it because it still remains as the only line of connection to my friends whom I've reconnected through Facebook. But I have recently connected my blog to it. I know I have to move on with the times. Blogging has already lost its momentum but I still like to write. Therefore, I thought I had better linked them both up so to at least bring some life to my blog. And so far it has been good. Thanks to y'all who have been visiting me here at my blog. 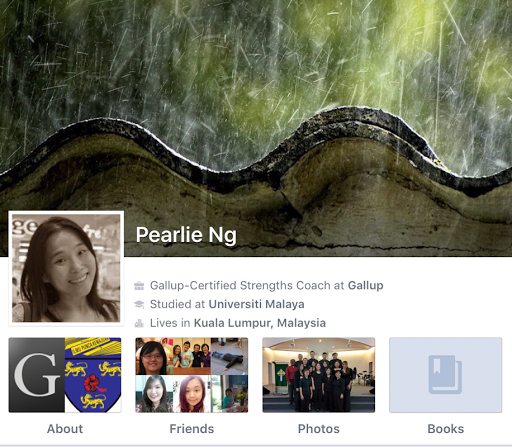 The more interesting thing is this: I have suddenly become quite active in Facebook. And I can see how it can really be so addictive. I like the variety of stuff and information that gets posted. I like that I can keep abreast with my friends. Of course I know all this before. It's just that I didn't want to spend my time to get stuck in it. But now that my daily blog posts get automatically posted in Facebook, I got sucked in as a result. I won't say it's a bad thing though. But I do need to be doing it only in moderation. I like FB. I keep up with my family all over America and the conversational commenting that I once enjoyed on blogs I now find on FB.